Origin: The name Lebanon comes from the biblical cedars of ancient Lebanon, a Semitic word meaning white that refers to the nearby mountain with perpetual snows on its summit. Established in 1761, the name for this town was probably selected by the many early settlers who were from Lebanon, Connecticut, including Eleazar Wheelock, founder of Dartmouth College. Lebanon was the original location of the Indian Charity School from which Dartmouth is descended. In 1781, Lebanon was one of the towns that attempted to join Vermont, but later returned to New Hampshire. Lebanon was incorporated as a city in 1957. Population Trends: Population change for Lebanon totaled 4,184 over 52 years, from 9,299 in 1960 to 13,483 in 2012. The largest decennial percent change was a 14 percent increase between 1970 and 1980; the smallest, a three percent increase between 1990 and 2000. 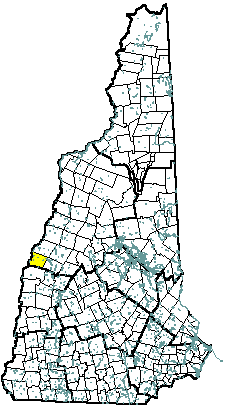 The 2012 Census estimate for Lebanon was 13,483 residents, which ranked 22nd among New Hampshire's incorporated cities and towns. Population Density and Land Area, 2010 (US Census Bureau): 326.2 persons per square mile of land area. Lebanon contains 40.3 square miles of land area and 1.0 square miles of inland water area.